Click Here to watch our "Get It All" Promo Video! Our fast growing Kiddie Kamp offers a wonderful opportunity for youngsters 3-5 to have their first experience in a real summer camp. The children are guided in organized activity, play & social skills by loving, patient and caring staff who serve all year-round as pre- school teachers. Our kiddies are growing fast, this is the place to be! 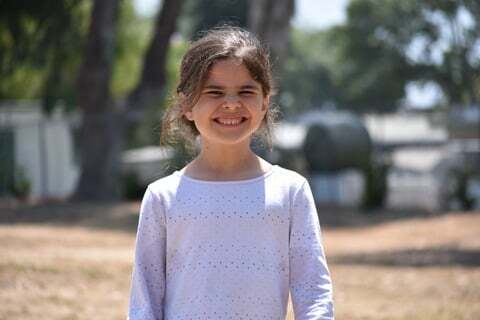 Our weekly program is enhanced with choirs, Olympic type games, police and fire demonstrations, drama, ballet, carnivals, dress-up days, overnights, color war, hiking, bunk competition, Shabbos parties, Challah baking, and .. oh... so much more. Under the direction of our experienced crafts director, campers will have the opportunity to design and take home some wonderful Judaica projects. Gan Israel’s “Trip Days”, which are well known, are geared to the children’s interests, are scheduled twice a week to theme parks, roller skating, museums, bowling, boating and more.